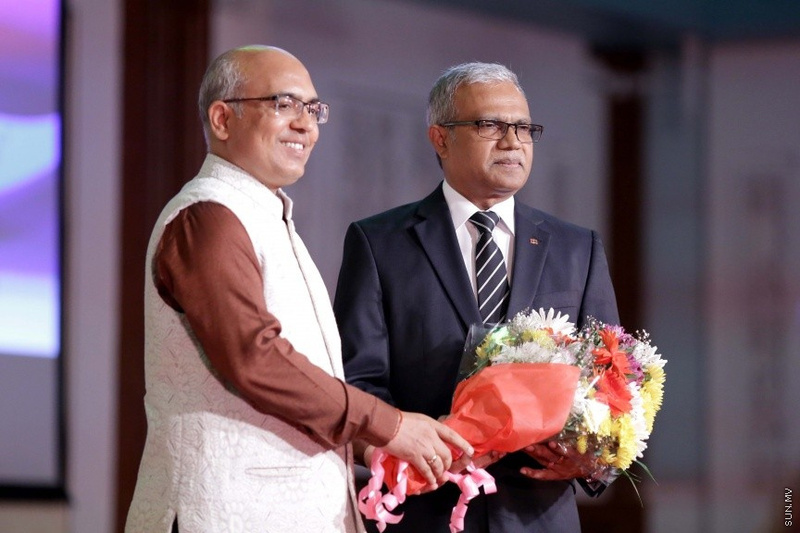 Sun Media has learned that the Indian Ambassador to Maldives, Akhilesh Mishra has been summoned to the Foreign Ministry after the Leader of the PPM Parliamentary Group, Ahmed Nihan Hussain Manik was denied entry to India without stating why. The Indian Ambassador was summoned sometime yesterday and the Maldivian Foreign Ministry requested the Ambassador to inform the MP why he was denied entry in writing. There has been no further details on the matter. Regarding the case, the Political Director at the Foreign Ministry, Heena Waleed told Sun Media that the Indian Ambassador did visit the Ministry and the relationship between the countries were discussed. No futher details were offered. Talking to the press outside Hotel Jen last night, MP Nihan said that the Indian government has to clarify whether he was denied entry because he was a member of PPM or because he supports the current Maldivian government. Unhappy about being denied entry to India, MP Nihan said that he went to Chennai on routine, personal, trip to consult his regular doctor regarding his sinus issues. He said that he went to enter the country with an "On-Arrival" visa. Nihan said that if India makes a sudden change to deny visa to Maldivians, it has to be notified to the Maldives. The Majority Leader said that he felt he was bullied by the Indian Immigration.